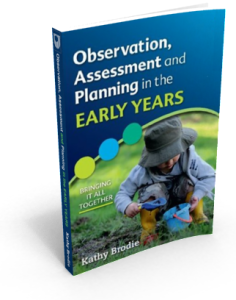 The book highlights how practitioners of all levels can successfully and effectively use the observation, assessment and planning cycle to support their children. I’ve included underpinning theory, with the major focus on how observations and assessments lead to next steps. 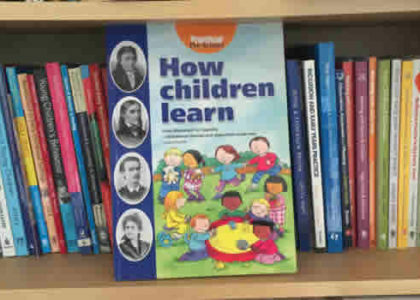 Whenever I do training on this subject, I have found time and time again that practitioners are really good at doing observations and linking these with child development and the EYFS. However – using these to formulate effective, relevant and meaningful next steps can be really difficult. My book explains how to take observations and assessments and choose next steps in a variety of ways.